Soup is a winter staple food, and we still wonder whether it’s because we are bound to suffer from a sore throat in winter or just because that warm and cozy feeling that you get after drinking soup is so precious. Whatever the reason, soup is and will always be a winter favorite. Winters can be a wonderful time of the year, especially because of all the yummy and warm food you get to enjoy. But some people dread winter because they are so prone to getting a cold and a sore throat in the cold weather. Hmm, I wonder what could help with that itchy sore throat that no one can stand, some delicious warm soup maybe. How to cure your winter woes? The thing with sore throats is that you kind of have to pass that terrible time in your own company because people don’t want to get infected. And as fun as one’s own company can be, it can also get boring really fast. How about you put two and two together and come up with something that will help with your throat and keep you occupied in all this time. I think you guessed right, here are some delicious soup recipes that will tickle your taste buds and cure your sore throat. All you have to do for this simple soup is make your chicken broth and season it very lightly, add vinegar for some tanginess. After the broth tastes good to add your shredded chicken, some cabbage, and carrots for color and flavor and cook. When everything is nice and soft, add your pureed corn, and some beaten eggs to thicken the soup and add more flavor. This is a delicious concoction that will calm your throat and appease your taste buds. Another classic, this soup is so easy to make, it only takes seconds, okay well maybe not seconds but you get the idea. If you are one of those people who prefer more substance in their soup, then this soup is just right for you. 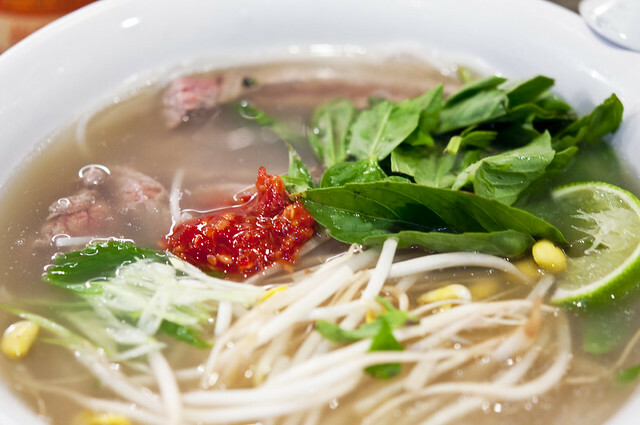 The noodles elevate the soup by giving it some texture and turning the soup into a full meal. The first few steps are pretty much the same as your corn soup, preparing the broth, adding chicken, seasoning it etc. For the classic noodle, soup flavors add in some carrots, celery maybe a little bit of garlic to get those flavors going. This is your basic soup done, all that’s left are the delicious noodles, I prefer rice noodles but I guess you could also add egg noodles. Rice noodles don’t really take that long to cook, so just add them once everything else in the soup is perfectly soft and cooked. If you know anything about sore throats you would know that garlic and ginger are the best remedies. They have some kind of antitoxins in them that fight the bacteria and allergies, freeing you from that annoying cold so you could get back to your life. This delicious soup uses the curing ability of both ginger and garlic to help put you back on your feet. Spinach in the soup doesn’t just add an immense amount of flavor, but it is also a super food with so many nutrients that will definitely help you gain your strength back. 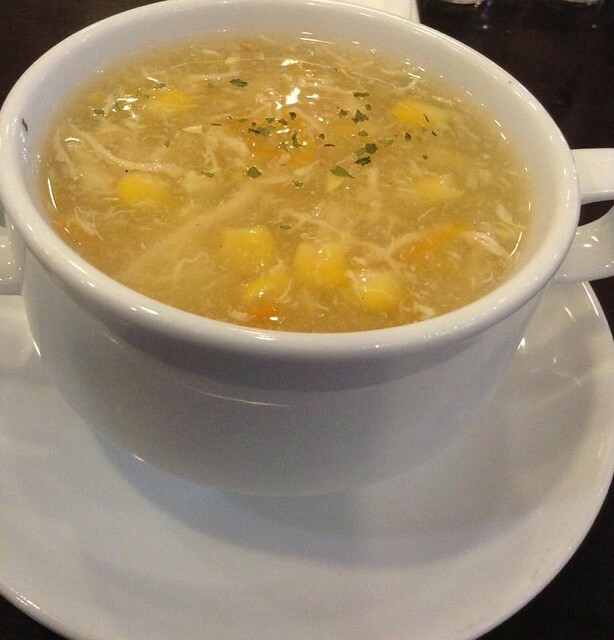 Boil your chicken broth with some garlic and ginger to infuse the flavors into your soup. After this add some zucchini because it takes the most time to cook. You can cook this for about 10 to 15 minutes before you add your chicken. I find that it is always best to add pre-cooked chicken rather, it’s cleaner and easier, you could shred some boiled chicken or cut your boiled chicken breast into cubes, your choice. If you feel like adding other veggies, that is totally up to you, the more the veggies the more your soup will be healthy. Add your spinach at the very end because it cooks very fast. After adding spinach cook for about 2 minutes and then take your soup off the heat. It is now ready to be gulped down and enjoyed by you and your sore throat. This one has some zing to it and definitely packs a punch as far as the flavor is concerned. The first step is first; get your broth ready, vegetable or chicken whatever suits you. Now for that beautiful aroma add in some garlic and then cook for the flavor to be infused in with your broth. Add your veggies, you could use cabbage, it gives a lovely sweetness, and mushrooms also taste great in this soup. In order to add some weight to your diet, you could also add rice. Rice tastes great in soups and adds a textural element that elevates your soup. Before you drink up, squeeze some lime or lemon juice over your soup, and you will be addicted to this delicious soup with healing properties. This one comes all the way from Thailand and is a total knock out. I would suggest making this even after your sore throat is healed, and you have some guests over, this soup is guaranteed to blow their socks off. This a little more technical because it has a few more steps than your regular soups, but hey it is worth it. So for this, we won’t just add the ginger into the broth, rather we add the broth to the ginger. Here is what you are going to do, heat some oil and add minced or chopped ginger to it, then add your broth to this. What this does is it releases more ginger flavor and aroma so that your soup becomes even richer. After this you throw in your julienned carrots and onions, both these vegetables give the soup an earthy sweetness. After the vegetables are done, it is time to add in your seasoning. You are going to need some curry powder for that traditional flavor, some salt and pepper of course, and a good deal of lime juice. Lime juice in soups is delicious just trust me on this. If you prefer your soup to be stronger you can always add some cayenne pepper and chopped jalapenos, probably not advisable if you have a sore throat though. Now you give your soup some time on the stove to get all those flavors going, and then add chicken fried in sesame oil and some rice noodles to seal the deal. Your soup is done and it is going to be so good. That’s all folks, you take care now. Remember the quicker you start taking care of your sore throat, the quicker it will heal. Good luck making all those soups and enjoy! Image Credits via Flickr Creative Commons: Thy Kh and Michael T.
Are the Glass cutting boards safe?